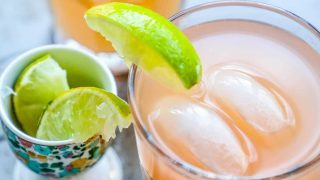 This Mikes Hard Tropical Pink Lemonade Copycat Cocktail + Mocktail is an easy, delicious, and festive vodka lemonade drink that is just like a Mikes Hard Tropical Pink Lemonade – perfect for bridal or baby showers or a party! Tons of pineapple and pink lemonade flavor and a bright pink color to get the party started. Non-alcoholic Tropical Pink Lemonade recipe included too. This tropical pink lemonade party punch is a perfect way to get your festivities started – top with fresh lemon or lime wedges, and serve over ice! You can also make this a fun vodka lemonade punch and float a scoop of ice cream in it for a super fun and cooling bridal shower cocktail that doubles as dessert! just take me to the copycat mikes hard tropical pink lemonade cocktail recipe already! 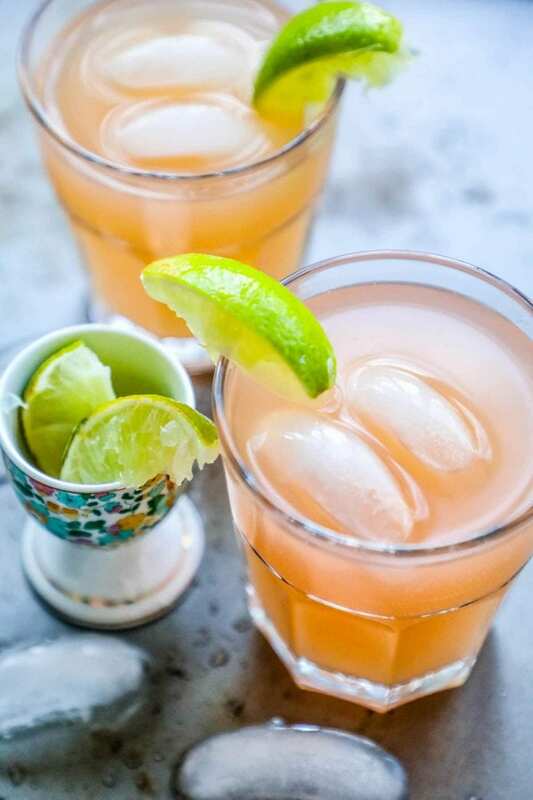 If you’d rather skip my (very helpful, i think) tips and tricks, essential cooking info, and similar recipe ideas – and get straight to this deliciously easy copycat mikes hard tropical pink lemonade recipe, simply scroll to the bottom of the page where you can find the printable recipe card. To make this a truly spectacular mocktail, swap the booze for dry soda (the juniper Dry Soda is a great gin swap) or just leave out the booze! 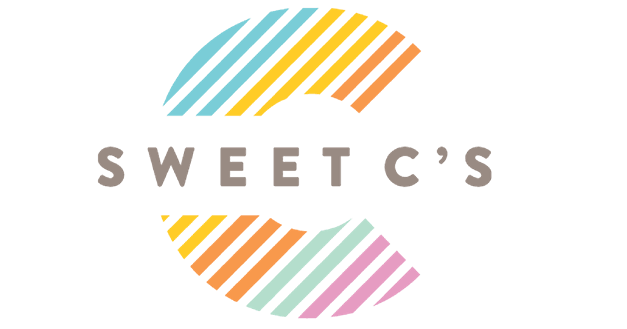 The recipe listed is per person – so for a group, make a giant batch and serve in a punchbowl over ice! 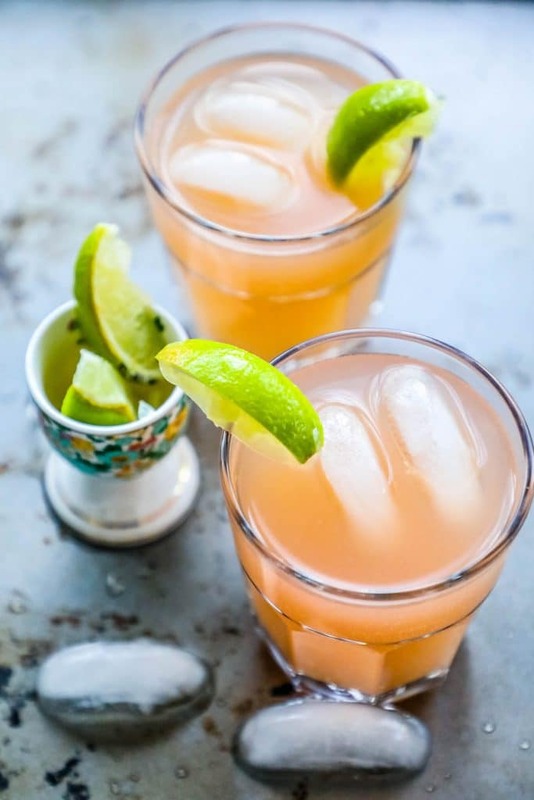 If you love this Mikes Hard Tropical Pink Lemonade Copycat Cocktail + Mocktail recipe as much as I do, please write a five star review, and be sure to help me share on facebook and pinterest! This Mikes Hard Tropical Pink Lemonade Copycat Cocktail + Mocktail is an easy, delicious, and festive vodka lemonade drink that is just like a Mikes Hard Tropical Pink Lemonade - perfect for bridal or baby showers or a party! Tons of pineapple and pink lemonade flavor and a bright pink color to get the party started. Non-alcoholic Tropical Pink Lemonade recipe included too. Mix all ingredients over ice and stir well to be sure its very cold.